Rob Pincus reviews the Glock G48, the first mid-size single-stack 9mm with 10+1 round capacity from Glock. It’s similar in size to the Glock 19. A lot of people, including Rob, have been looking forward to a slimmer Glock, and the G48 is it. 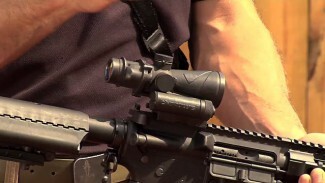 It is built around a proprietary magazine that is not like the Glock 43 or Glock 19 magazine. The width of the G48 is different than the G43, and that means you have more to hold onto with the G48 than with the subcompact G43. Rob believes this is what most people will see as the biggest advantage of the G48. The width of the grip spreads out recoil and gives you more controllability. The extra slide length also makes the gun more shootable. The slide and barrel are just over four inches, meaning there’s more weight out in front of your hand and a longer sight radius. Rob believes this gun will fit a lot of people’s needs for concealed carry. Rob demonstrates carrying it appendix inside the waistband. It’s comfortable for all-day carry. The Glock G48 is going to change the way a lot of people carry. 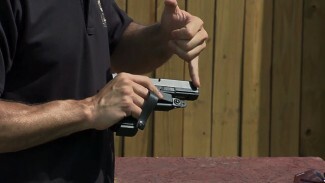 Getting into a mid-size gun that still is comfortable for inside-the-waistband carry means that people can shoot this gun more like they can shoot the full-size double-stack guns they’re used to from Glock and other major manufacturers. Rob expects to see other major manufacturers bring mid-size single-stack 9mms onto the market. Glock is leading the way on this. 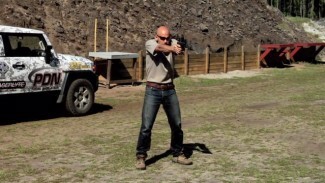 In addition to concealed carry, roles include personal defense and handgun training and practice. The G48 has the Glock Gen4 reversible magazine release. It’s a little larger than the Gen3. The G48 comes with the standard Glock plastic sights, which Rob recommends you replace. Good news is that several holsters already on the market for the G43 can be used for the G48. Holsters specifically for the Glock 48 will surely be available soon. I am waiting for a black slide and an accessory rail. Would also love to see an M9A1 Compact as a single-stack. Only one negative for the 48. The slide is a magnet for dirt.